Tool for emulating latency and packet loss effects. 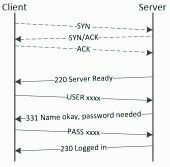 Can we do networking by java programs like Manage switches do? FTP, data connection, and Sockets -- Apache Commons and ftp4j open/close Socket for each file? Dropped transactions: socket or thread problem? how to read a binary file into an array of protobuf's ? how can i have a bind exception without anything holding the port? best way to secure communication for 'p2p' like application?